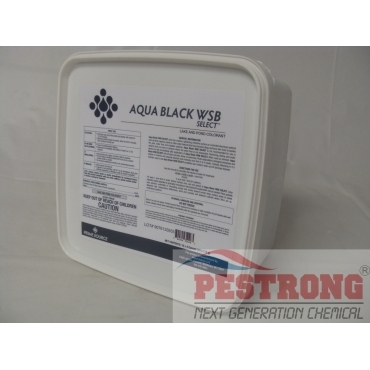 Where to Buy Aqua Black WSB Select, Aqua Black WSB Select Lake and Pond Colorant - 10 x 4 Oz - $129.95 for Sale with Fast Free Shipping! Aqua Black WSB Select Lake and Pond Colorant - 10 x 4 Oz is a simple and uncomplicated solution for coloring your pond or water feature with simply toss in a pack and wait for the water soluble pack to dissolve. The unique granular formulation disperses more quickly and more thoroughly than traditional powdered formulations. The dye is non-toxic to aquatic species, water fowl and pets, and the water is available for recreational activities or irrigation immediately after full dispersal. Very convenient, fast shipping and the price is also great. Chucked some in our apartment's lake and it delivered results without any hassle. 5 stars! Easy to use and convenient for me. It works well.